“USA Today 10Best” readers say that the Cumbres & Toltec Scenic Railroad is the best train ride in North America as well as the top attraction in both New Mexico and Colorado. The Cumbres & Toltec Scenic Railroad traverses 64-miles between Chama, NM and Antonito, CO. It crosses the borders of Colorado and New Mexico 11 times as it chugs its way up and over the 10,015′ high Cumbres Pass. 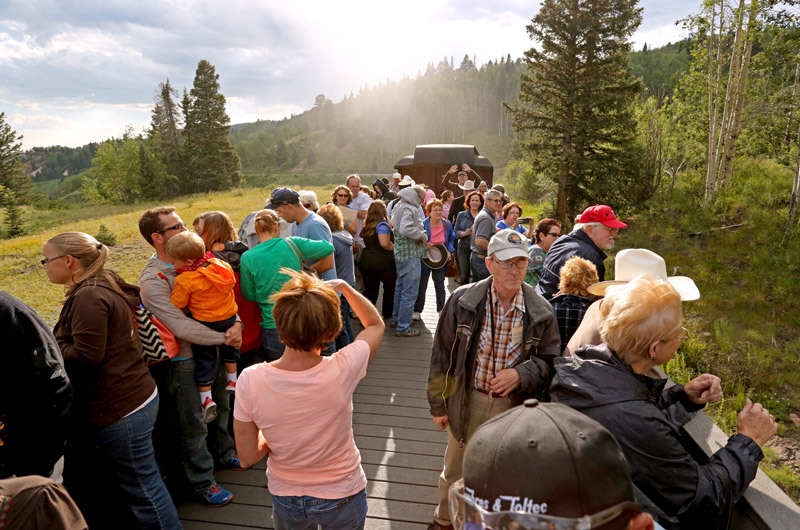 Our scenic railroad is jointly owned by the states of Colorado and New Mexico. In recognition for its place in our national history, it was awarded National Historic Landmark Designation in 2012. We’ve been operating under this prestigious designation ever since. The volunteer docents who ride along with you share their complete education of the history, the legends and the lore of this region and the railroad. When you visit, be sure to take the self-guided tours of the railroad yards. For a map and tour information about the railroad yards, including historic landmarks, trestles, and tunnels, visit the How to Get Here section. The Cumbres & Toltec goes where no automobile can. Most of the route is through “off-the-grid” wilderness, so you’ll experience views into canyons and over ridges that can’t be seen in any other way. The train travels at a top speed of 12 miles an hour, and that’s the beauty of it! 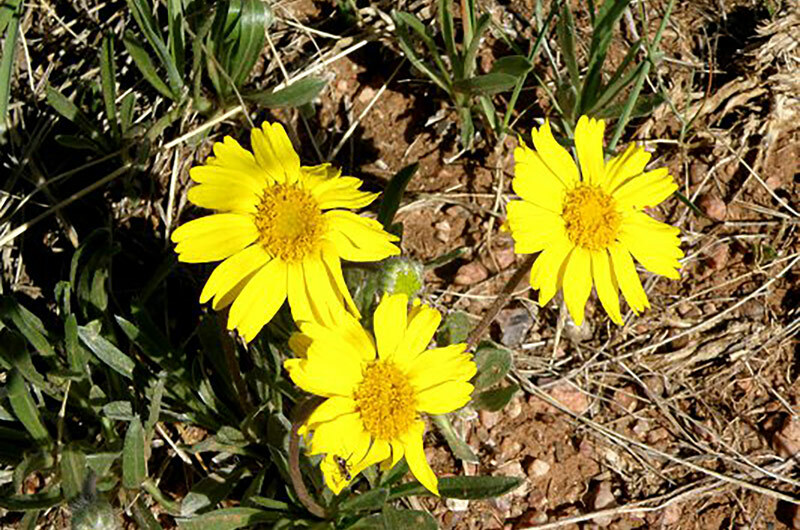 You won’t miss the aspen groves, the wildflowers, the steep mountain canyons, or the plentiful wildlife. You can move around. Venture outdoors into the gondola car or ride between cars, holding on to the railing as you come around long curves, taking in the views ahead. Enjoy the scenery in comfort. No matter which class of seating you choose, you’ll be comfortable for the whole journey. Midway through your trip you will enjoy a delicious hot meal which is included in your ticket price. Learn about the flora, fauna, geology, history and wildlife you see from our on-board docents. You’ll not only have a bucket list adventure, you’ll come away with a better understanding of this spectacular region and the history of our railroad. Today the railroad is operated for Colorado and New Mexico by the Cumbres & Toltec Scenic Railroad Commission, an interstate agency authorized by an act of Congress in 1974. The Commission is composed of four members, two from each state, appointed by their respective state Governor. The Commission sets the policies for the management of the C&TSRR. 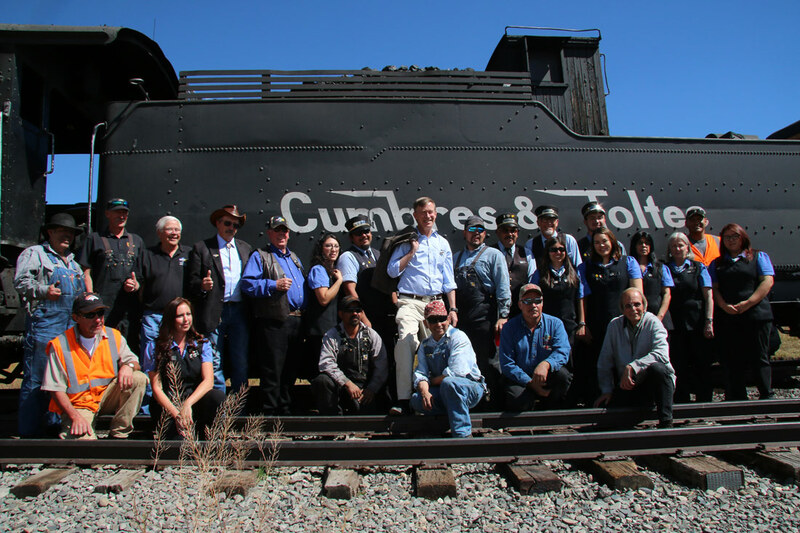 The Cumbres & Toltec Scenic Railroad is operated by Cumbres Toltec Operating a non-profit LLC. It handles the daily operation of the railroad and is the project manager on Capital Improvement Projects. To find out more about the C&TS Commission, visit their website. Care of the historic assets, and interpretation of the railroad is entrusted to the Friends of the Cumbres & Toltec Scenic Railroad, a non-profit, member-based organization whose mission is to preserve and interpret the railroad as a living history museum for the benefit of the public, and for the people of Colorado and New Mexico, who own it. A team of more than 30 volunteer docents play a critical role in bringing the C&TS to life for riders each day of the season. If you would like to learn more about how you can help support the C&TS as a volunteer or sustaining member of the Friends, visit the Friends of the C&TS web site.